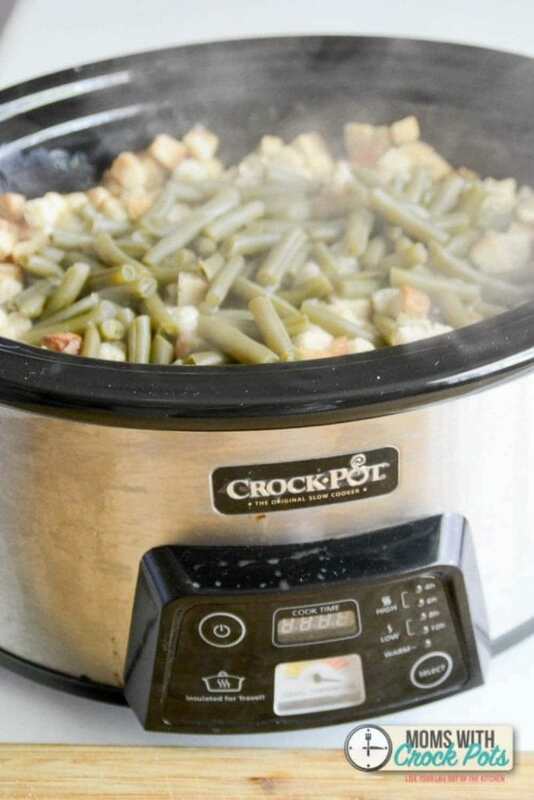 When it comes to crockpot meals my favorite are the ones where everything is in the pot. The main dish and all the sides. 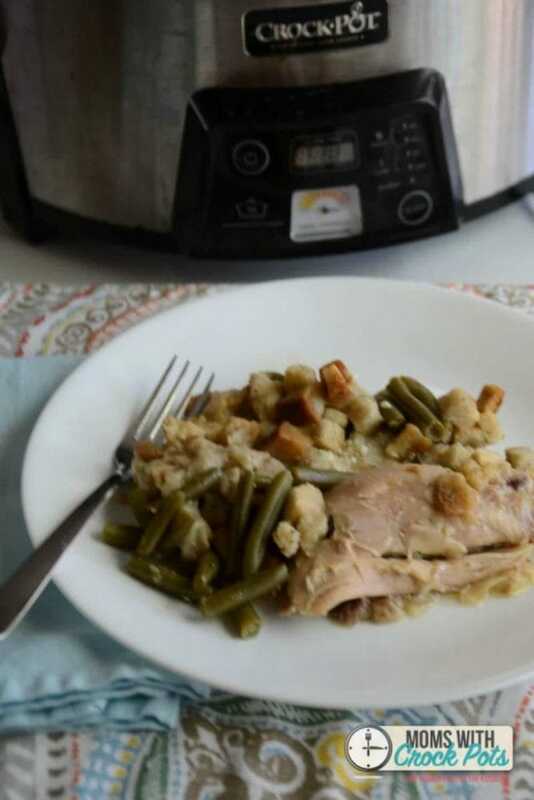 This Crockpot Chicken & Stuffing Dinner is one of those all in one meals that is mouthwatering delicious! I gathered all of my ingredients. I really hate to use those cans of cream of ? soups. So I just used some chicken broth and a little bit of sour cream to add some creaminess. You can totally omit the sour cream to make this dairy free. I also used the less popular chicken leg quarters. I had gotten some on sale this week and they worked perfectly for this meal. You can really use any kind of chicken breast, thighs, anything. You could even substitute a turkey breast and have Thanksgiving dinner done in a flash. 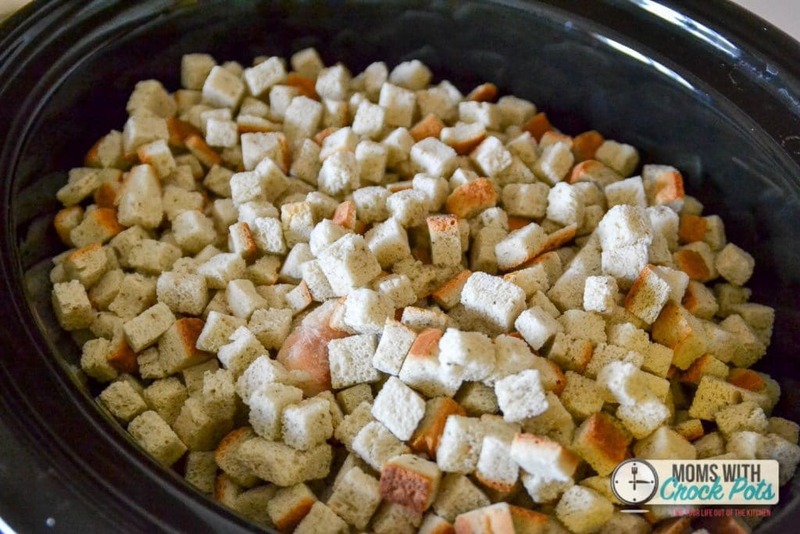 In your 6qt + crockpot layer the chicken, then the stuffing mix, then pour over your chicken broth. Top with some frozen green beans or a can of drained green beans. Cook on high for 4 hours or low for 7-8 hours. 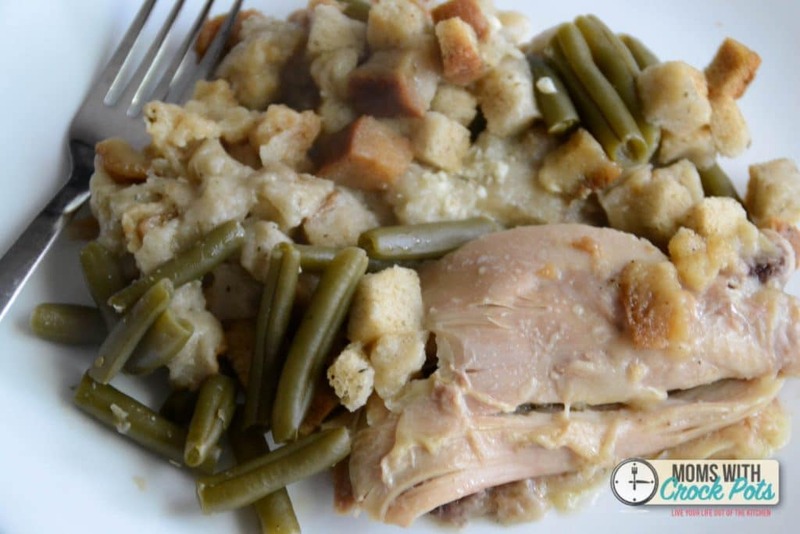 If you need a gluten free option you can use a gluten free stuffing mix for this meal. This is what I opened my crockpot to. YUM! Just scoop and serve. Such a tasty dinner option! 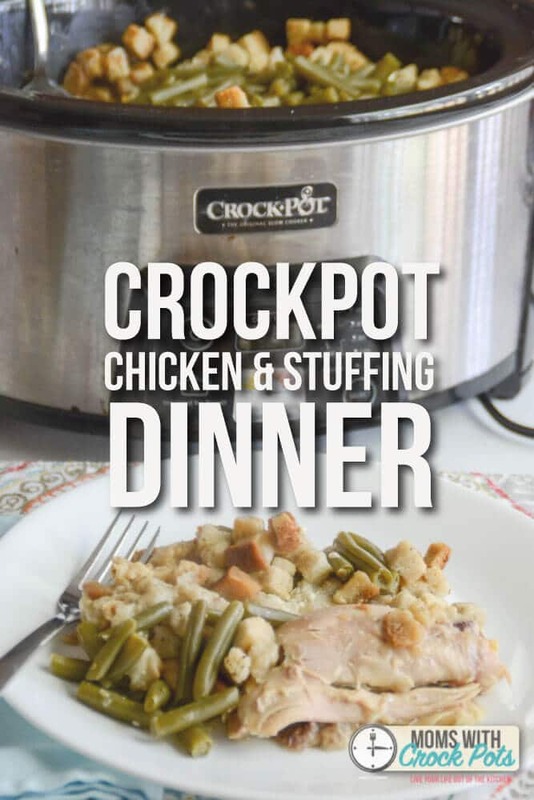 Place the defrosted chicken in the bottom of the crockpot as your first bottom layer. Next top the chicken with the stuffing mix . In a separate bowl, mix together the broth and sour cream. The sour cream is optional. It makes everything a little more creamy. 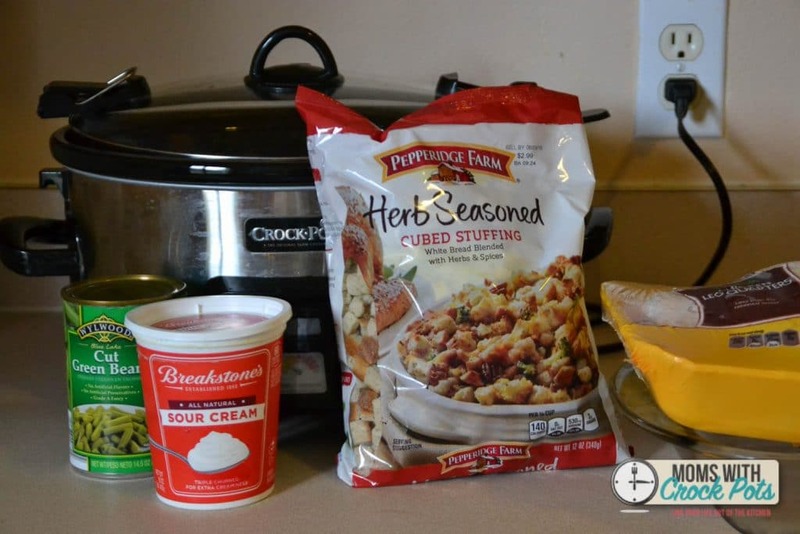 Top this mixture over the dry stuffing mix. The last layer will be the frozen green beans or a can of drained green beans.